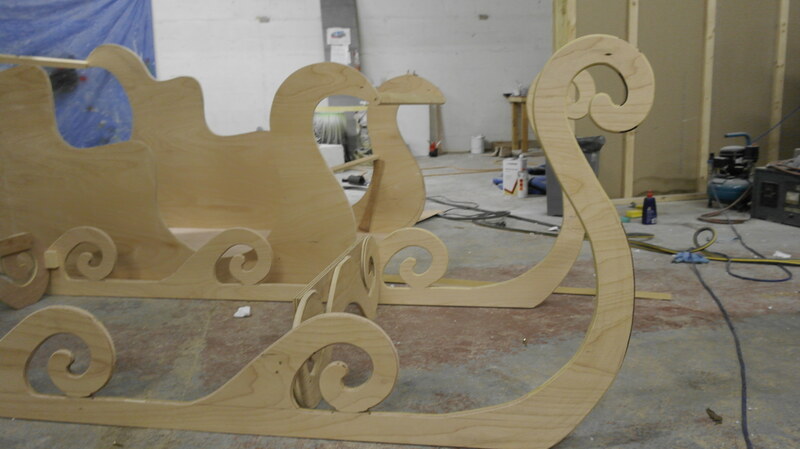 Brief: The brief was to create a life-size sleigh for Santa to use whilst many children came to visit him at the Winter wonderland during Christmas. The Sleigh had to be durable, to stand and to sit in. Also with a place for the children’s presents in the back. 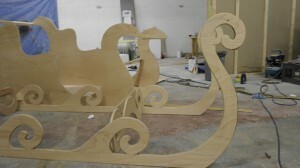 The sleigh was customized to our clients request til the very last detail. 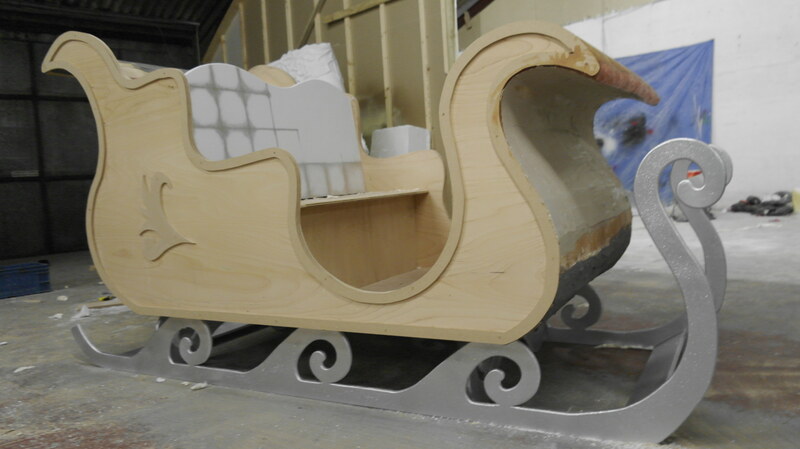 Step 1: We cut out the main shape of the frame for the Sleigh from ply wood according to given dimensions and style taste. Step 2: After constructing the Sleigh, we had to sand all rough surfaces, fill and plaster where necessary to ensure it will be smooth and prepare it for the final step. Final Step: To the exciting part, painting, glitter & airbrush decoration! 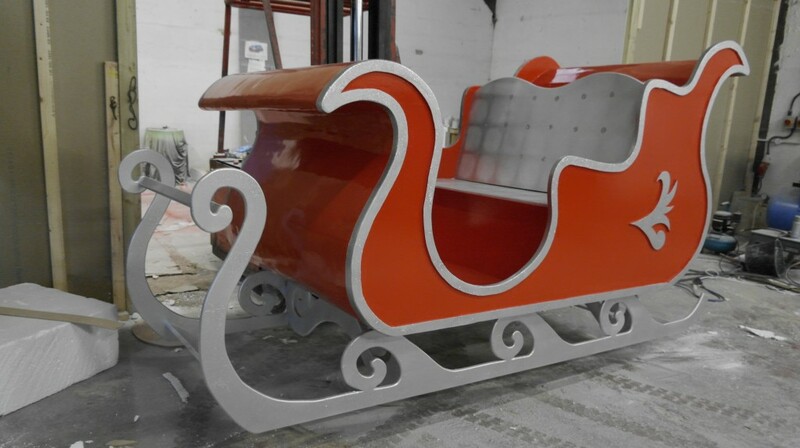 We used a brilliant red for the super smooth sections. Glittery silver for the seat, the clean lines and the runners. To finish we airbrushed the button effect in to the seat!